Fro My Lord....... Lego The Hobbit PS4 has Inverted Camera! For years gamers like myself have had to forgo the open world Lego games. A simple omission in the control set-up alienated what must be 50% of gamers in the newer open world parts of Lego games. Inverted Y-axis is common in most game but TT Games has never put it in the console games, strange as the Vita version of Lego LOTR had Inverted options. Good news, TT Games have listened to the masses. A patch for the PS4 version was prompted on start up of the game. It's unclear if the option was added later. I must point out that the option to invert does not show until you start the story. I can't comment on any other version of the game so please post up in the comments if you own the PS3 or Vita version. 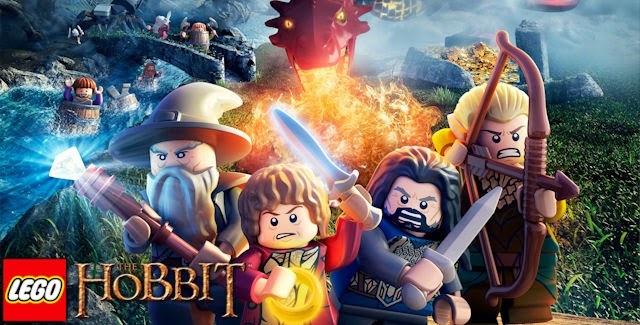 It's worth pointing out that Lego The Hobbit looks stunning on PS4 and runs in full HD (1080p).